In March 2016, students from Stockdale High School in Bakersfield, California, decided to start volunteering at a local retirement facility. Instead of simply volunteering their time, the students decided to bring their unique talents to service the seniors. Some sang with them, some danced with them, and one by the name of Isaac Kim played violin for them. After a few months, other students moved on, but Isaac decided to continue and his brother, Ian Kim, violinist, joined him. Over the years, Isaac and Ian had their friends perform with them from time to time, but they were unable to recruit them in regular bases. However, they did not get discouraged and continued to perform week after week. They especially loved to perform at Memory Care Unit where most people did not recall seeing them perform the week before, but asked them to come following week to perform for them. 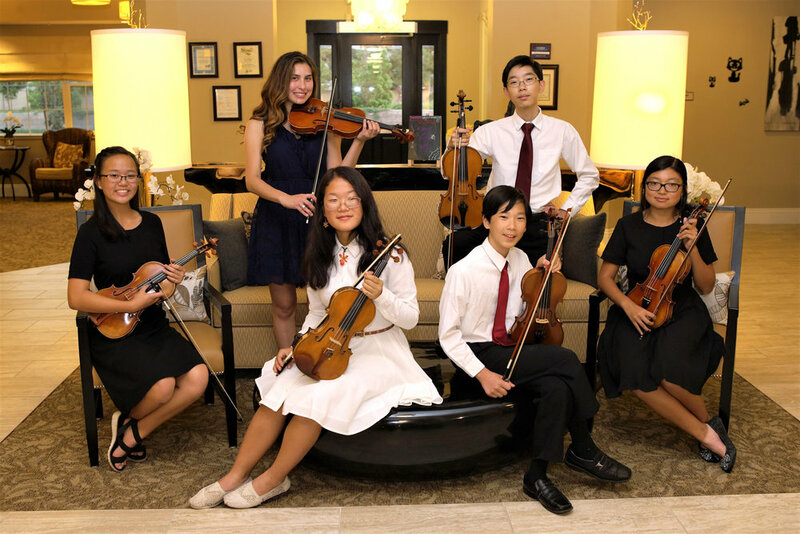 The group did not thrive until 2017, when Christina Xin, Giana Park, Jeannie Yuan, Zaylie Pascillas, Philippe Marinas, and Rachel Pan join Kim brothers on a regular basis and Music of Bakersfield was born.